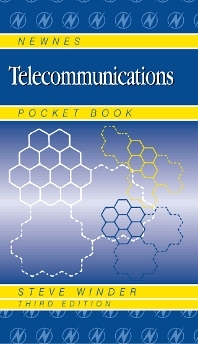 Newnes Telecommunications Pocket Book is a unique pocket reference written by an engineer for engineers. The information in this book covers the data, methods, standards and fundamentals needed in a wide range of work situations. The practical focus of the book makes it essential for all telecommunications professionals and managers, and also for students who want to find the key information quickly. All sections have been thoroughly updated to cover the latest developments in technology and standards, including ITU regulations, WAP, GSM1800, HDSL2, wireless local loops and wireless broadband, optical fibre amplifiers and the latest submarine cable systems.